Serrano scores 29 points and earns MVP honors, Robinson adds 18 points and six assists as Warriors win their first state title since 2003. BINGHAMTON, N.Y. — For Josh Serrano, it was rush hour. Scurry for loose balls, hurry to the hoop, turn defense to offense in a few blurry seconds. Take the express train at all times. 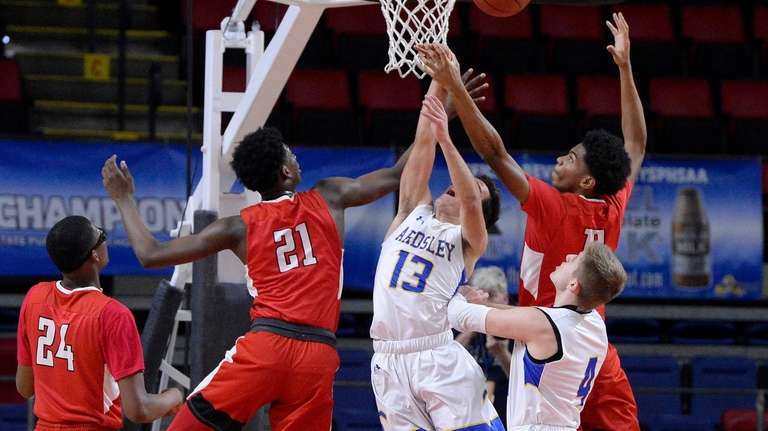 Serrano had 29 points, six steals and five assists to drive Amityville to a 74-54 victory over Ardsley in the state Class A boys basketball championship game Sunday at Floyd L. Maines Arena. Serrano, who sparked rapid-fire scoring bursts in the first and third quarters, was named tournament MVP. Jayson Robinson finished with 18 points, six assists and two steals for the Warriors (27-1), who are riding a 19-game winning streak and will face CHSAA champion Park School (Buffalo) on Saturday in the state Federation Tournament of Champions in Glens Falls. And Serrano is a special player. He scored 10 of his 14 first-half points during a 21-0 run that more than compensated for the Warriors’ inability to score a point in the game’s first 3:52. 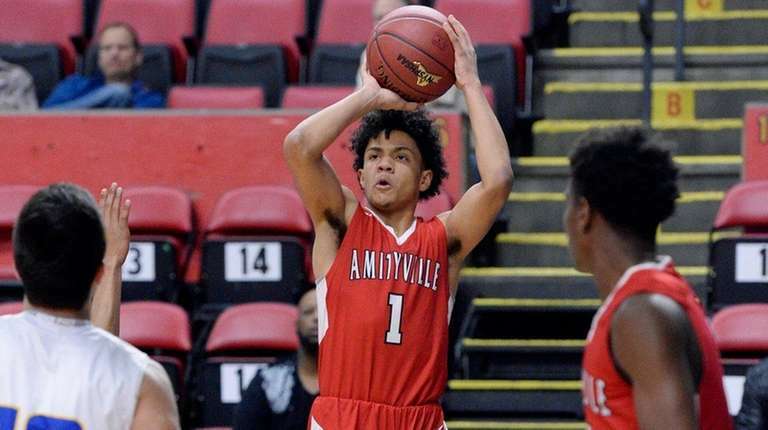 He then scored eight points, including a pair of three-pointers, as Amityville scored the first 15 points of the third quarter. That made it 42-13, and Amityville was on its way to its first state championship since 2003. Zeke Blauner led Ardsley with 19 points. 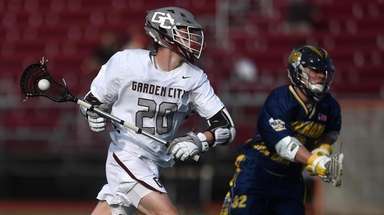 When he was taken out of the game late, he received a loud standing ovation from the sizable Ardsley crowd. 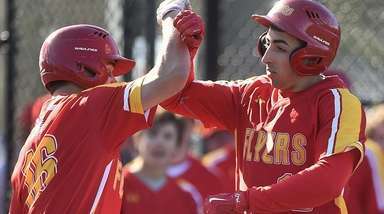 In a classy gesture, the same fans stayed on their feet and cheered along with the rising Amityville contingent when Serrano went to the bench. His team needed a wake-up call on offense early, but not on defense. Serrano and backcourt mate Robinson created a disruptive defensive dynamic that Ardsley could not overcome. The duo helped force 20 turnovers, many of which led to transition baskets. That’s Amityville basketball at its best. 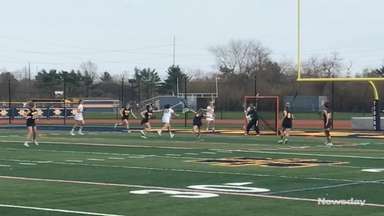 Amityville’s other area of dominance was on the boards. 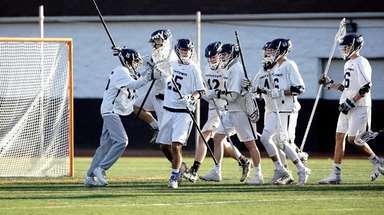 Its slender but quick-jumping frontcourt of Braden Tannis (10 rebounds) and brothers Myles (seven) and Julius Goddard (six) helped the Warriors to a 46-32 advantage on the glass that led to numerous fast-break opportunities after defensive rebounds. 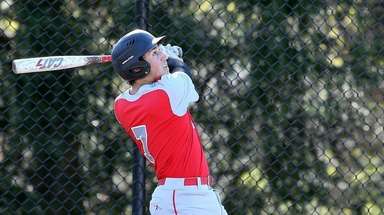 And leading a breakout season for Amityville.